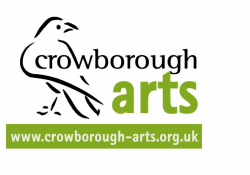 Music is one of the mainstays of Crowborough Arts and we pride ourselves on the range of what we offer. From small, intimate salon events to larger concerts at The Crowborough Centre, we present professional level performances from both local and national musicians. As a not-for-profit organisation we often able to invite performers from outside of the mainstream, for example, our hugely successful evening with the monks of the Tashi Lhunpo Monastery in Tibet and the ZRI band who played Hungarian gypsy music alongside pieces by Brahms. We also present regular intimate chamber concerts by international musicians at our private Green Lane Music Room, and these have included the local early music duo Etrusca, the Amphion Quartet, Baroque Unwrapped with members of the Chamber Music Orchestra of Europe, pianist Daniel Tong, cellist Robin Michael, the Aurora Trio, guitarist Laura Snowden and many more. Music also plays an important role in our larger performance events. For example, at our recent production commemorating The Great War a full choir sang selections from ‘The Armed Man’ by Karl Jenkins as well as popular songs of the era from members of the cast. We have also held music-related workshops including an opportunity for participants to try out West Gallery Singing and an Introduction to Reading Music. In the pipeline Is a songwriting workshop. ​We are always on the lookout for experienced local musicians who would like to run workshops for us. Contact us today if you can help. For all upcoming events please click here.